The Investment. 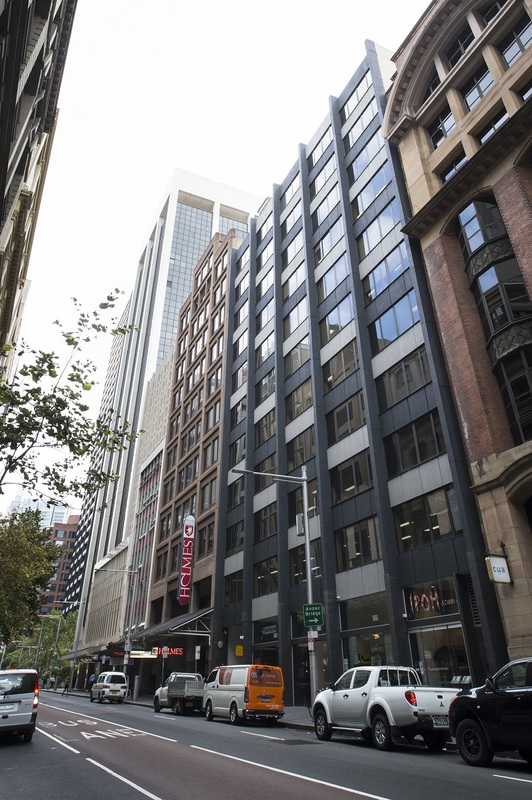 89 York Street is located in the western corridor of the Sydney CBD. The building comprised a commercial office tower constructed in 1970 incorporating upper and lower ground retail, elevated ground floor lift lobby, 11 levels of office accommodation, basement parking to accommodate 23 vehicles and associated storage. The Commerce. The building, at acquisition, was producing net revenue consistent with buildings of its vintage and state of repair. The elevators worked intermittently, sometimes stopping mid-rise, the retail component was not sustainable and there was excess unutilised space in the building. The mechanical and lifting services were verging on obsolete. An institutional assessment would have been that the asset was sub-optimal and expensive to reposition. The building provided a platform for testing environmentally sustainable strategies that including entirely replacing the existing elevators, amending public area lighting and upgrading air conditioning, fire services and building maintenance systems. Asset improvements including increased net lettable area of the building, changing the use of areas including committing to a greater allocation to retail and building energy consumption efficiencies.